We believe in rational, evidence-based decision making – particularly when it comes to managing executive and employee remuneration. That’s why we created REMconnect. REMconnect provides a one stop platform to help you manage and access the information you need to effectively manage remuneration practices. From industry leading, sector specific remuneration, benefits and HR benchmarking surveys to best-of-breed job evaluation tools – we’ve got you covered. Survey Participation and Data Management – REMconnect. 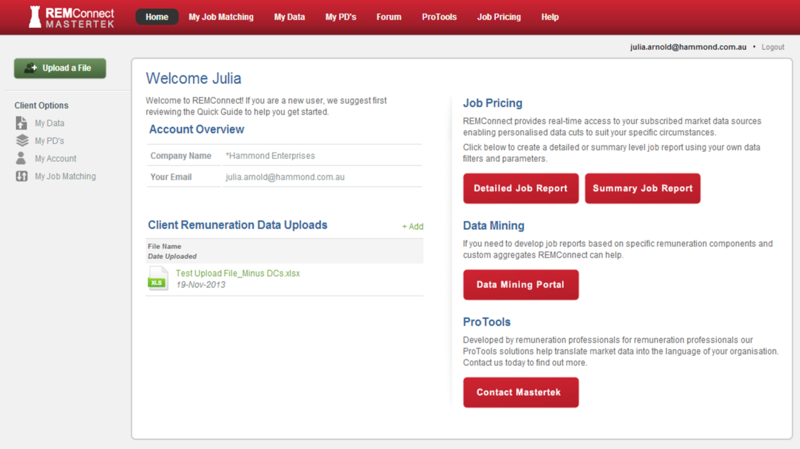 REMconnect centralises your internal and external remuneration data, reducing handling time and eliminating double-handling. 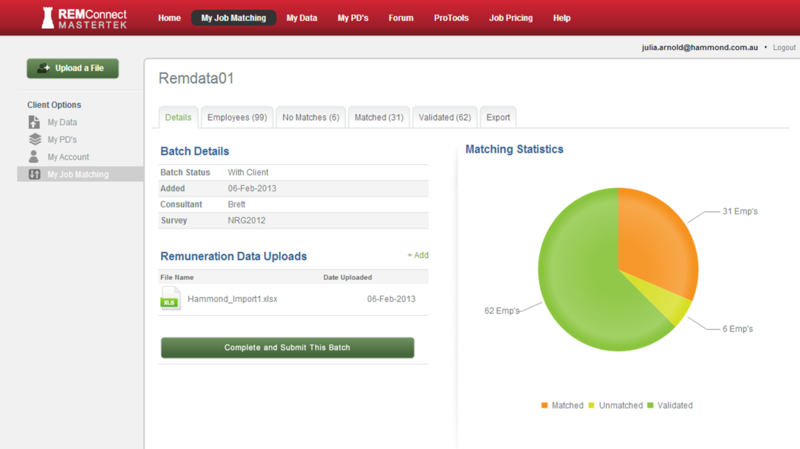 Access intuitive role matching assistance tools that learn from your organisation’s validation and matching efforts. 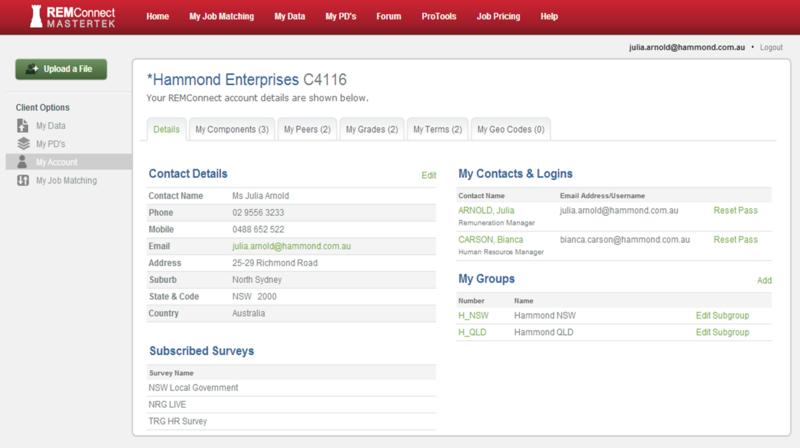 Prepare multiple survey submissions from a single data source utilising custom data mapping configurations. Online access to job pricing and data mining tools for Mastertek surveys. 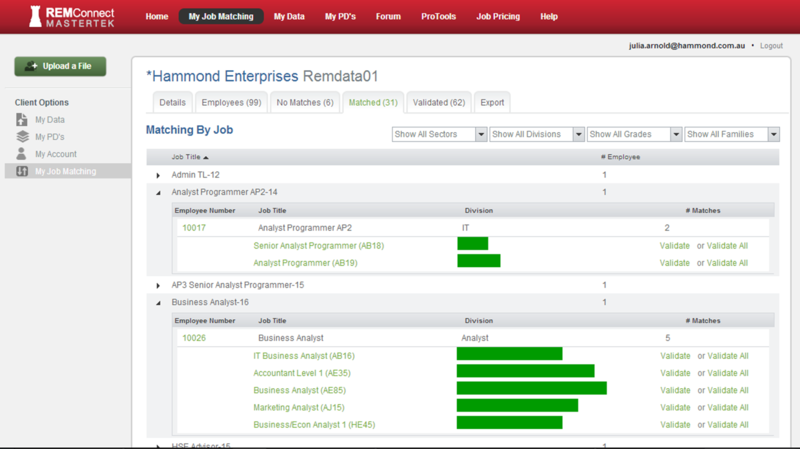 REMview analysis tools translate market data in to customised analysis based on your structures and terminology. Contact us to arrange an online demonstration. Within the REMconnect platform, subscribers can access contemporary, intuitive job evaluation tools to assess the internal relativity of your organisation’s roles through the Mastertek Job Evaluation & Sizing system (MJES). Contact us to learn more about our industry leading job evaluation tools. The REMview reporting module takes the time out of developing meaningful data insights meaning you concentrate on making better reward decisions for your organisation. Drill down into your data for deeper insights into your positioning and market trends. Contact us to organise an obligation free demonstration to see what REMconnect can do for you!